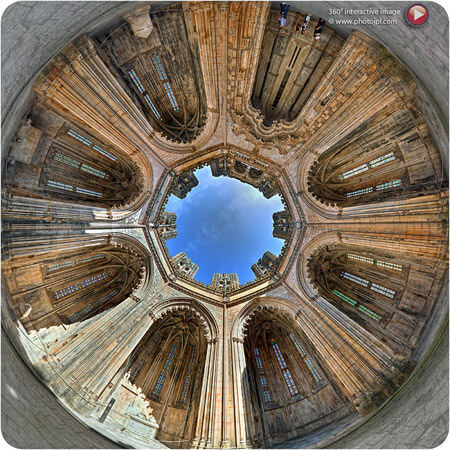 The unfinished chapels of the monastery of Batalha are listed as World Heritage by UNESCO and is a wonder of Portugal. Overlooking the octagonal rotunda, seven chapels are separated by the famous pillars remained unfinished. These pillars are covered with motifs carved in stone. Edward 1st had dreamed of a vast pantheon for him and his descendants. He is the only one to rest today in the open, in the Unfinished Chapels. We are privileged to show you this extraordinary place in this virtual tour as if you were there! View the virtual tour in this 360 degrees interactive panorama as if you were there. Now compatible with your iPad.